Hi. I’m Mark D. Hamill (no, not the Star Wars actor). Since 2006, I have been providing phpBB services to the phpBB community. phpBB is popular forum software used on the Internet. As of 9 March 2019, I have served 363 distinct customers and completed 1014 requests for service. I figure I must be doing good work because I get a lot of repeat business. There is not much I can’t do to service your phpBB needs … and I can usually do it quickly, elegantly, professionally and at affordable rates. I am also the author of two complex and frequently used phpBB extensions and modifications, Digests and Smartfeed. Please check out my services page to see what I can do for you. If you have a support inquiry, use my handy form. Feel free to browse my site or to send me email. If you send me email, it may be helpful to place “phpBB” in the subject line somewhere to get my attention. Our forum is pretty big (about a million posts), and previous attempts to upgrade it from phpBB 3.0.1 to 3.2.x had failed, but then I found Mark’s website last week, and within a few days, he’d successfully upgraded the forum. We’re so grateful to him for his fast, efficient, and effective service. Will definitely come back with any future needs. Thanks! Repeat customer here. Can’t say enough about Mark, he’s excellent at what he does! Quick, professional work and great communication. If you have a phpBB problem, look no further for reasonably priced help! We have had a huge problem with old hosting as also with the huge number of spams. Mark, thank you very much – myself and the guys love the upgrade. I’ve been twiddling about with my phpbb forums for three years, always managing to do what needs to be done. When my automod broke I couldn’t upload the super toolkit or remove any other mods for the upgrade from 3.0.12 to 3.2.2. Our database according to the hosting company was a mess, they refused to do anything with phpbb items as they don’t support it. Having read many reviews of various phpbb developers I decided Mark was the man for the job. A very professional job done, with many difficulties for Mark, but on the other side we have a great new forum thanks to him. Don’t hesitate to contact Mark if you’re having issues, he’ll constantly keep you updated on progress/costs as required. Thank you again, Mark!!!! You did in one afternoon what I haven’t been able to figure out in 90+ hours! The forum is working AWESOME on its new host and looks exactly like it did on the old host. You are officially A God. I HIGHLY recommend Mark for any phpBB issues. Very impressed with the speed and ease with which he handled everything. It was like turning to a wizard and paying for magic. I spent DOZENS of hours following phpBB rehosting instructions from the phpBB forums and elsewhere, with zero success and more internal service errors than I care to remember. Mark did the whole thing in a very short time, and made it look easy. I wish I’d emailed him last weekend and saved myself 90 hours of frustration that I will never get back. So glad I found this site. You saved me from a mental breakdown. 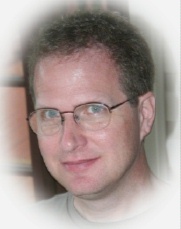 I wanted to commend Mark for the excellent job he did upgrading our site and plugins. It was not an out of the box set up, with changes to both look and function. He got it all and it all worked right the first time. Done when he said it would be done and for the low end of the cost range he quoted. I’ll for sure keep you on file for any future phpBB work that is required. To fill in the blank spaces for anyone else reading this post, I migrated, with great difficulty and cost, my website from one webhost to another. To make a long story short, the migration company tech, (who was supposed to be versed in phpBB), couldn’t find his backside with both hands while standing in front of a mirrow. I enlisted Mark to the rescue and in under 2 hours he had the board working fine, along with an update to phpBB 3.0.11 and several mods. If you need a good man for the job on phpBB, Mark IS the man!